Heiress Sarah Winchester constructs an elaborate, ever evolving mansion designed to keep out evil spirits. When you think of the great horror icons - Vincent Price, Peter Cushing, Boris Karloff, Christopher Lee, Donald Pleasence - it's unlikely that you picture them as sprightly twentysomethings. Prior to the '70s arrival of the slasher genre, with its nubile high-schoolers, horror movies tended to be headlined by silver-haired stars, often considered too old to get work in more mainstream fare. With the recent Insidious: The Last Key providing a lead role for the 74-year-old Lin Shaye and now Helen Mirren top-billing the Spierig brothers' Winchester at the tender age of 72, it seems the horror genre may once again be providing late career lead roles for mature performers. Sadly, there's nothing mature about Winchester. For all its Hammer-esque gothic trappings, the Spierigs' film is as prime an example of lazy, generic, modern mainstream horror as you could hope to avoid. 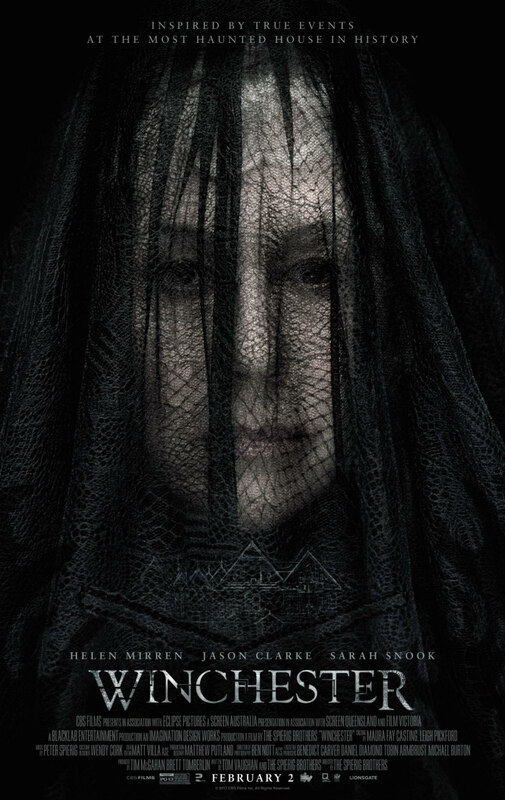 Mirren - somewhat miscast in 'dowdy widow' mode, having so recently rocked a set of combat fatigues in a way few actresses half her age could manage in Eye in the Sky - is Sarah Winchester, the real life heiress of the Winchester Rifles fortune. Yes, Winchester is based on fact, to a degree. Sarah Winchester believed her family's California mansion was haunted by the spirits of the many victims felled by bullets fired from Winchester rifles. In an attempt to keep the spooks at bay, she constantly redesigned the mansion, adding and removing rooms and passageways in a never ending reconstruction project. The idea that a ghost can somehow get befuddled by renovation is one of the sillier elements of this story. The film follows psychologist Eric Price (Jason Clarke), assigned to evaluate Sarah's psychological state by a business rival who hopes that he can declare her insane and have the Winchester firm wrested from her grasp. On his first night at the mansion, Price begins to realise the old woman may be onto something, as he sees pale-faced ghosts in his shaving mirror and rescues a young boy from a suicide attempt seemingly induced by some form of possession. As haunted house thrillers go, Winchester boasts a winning premise, one that affords not only opportunities to create much suspense in a unique setting, but to inject some sly commentary about America's ongoing obsession with firearms. The Spierigs seem uninterested in milking either aspect, instead peppering their film with the cheapest of jump scares. 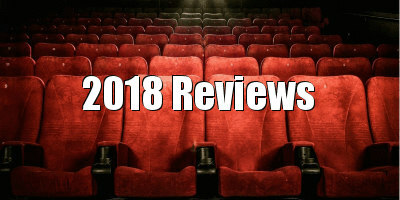 Such a modern approach jars with the early twentieth century setting, every cattleprod screech on the soundtrack merely reminding us that we're watching a movie rather than unsettling us in any way intended. When the pasty, sub J-horror ghouls aren't jumping out of nooks and crannies like the underpaid employees of a Halloween attraction, we're forced to endure snooze-inducing scenes in which Mirren makes up the plot as she goes along over cups of tea with Clarke, who looks like he's struggling to stay awake. I know how he feels, and so will you if you if you take a dose of this cinematic Xanax. 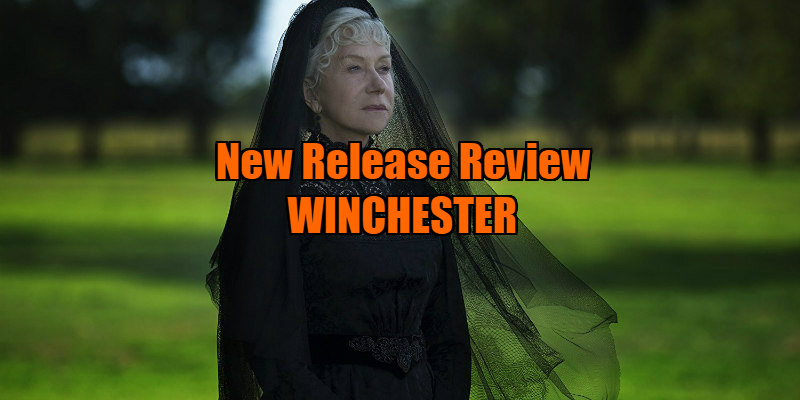 Winchester is in UK/ROI cinemas now.